I think this year is the first year Sky knew what was coming. She knows what Halloween is about…well ok, let’s be honest…she knows she gets to dress up & get candy! She talked, and talked, and talked about Halloween for months. 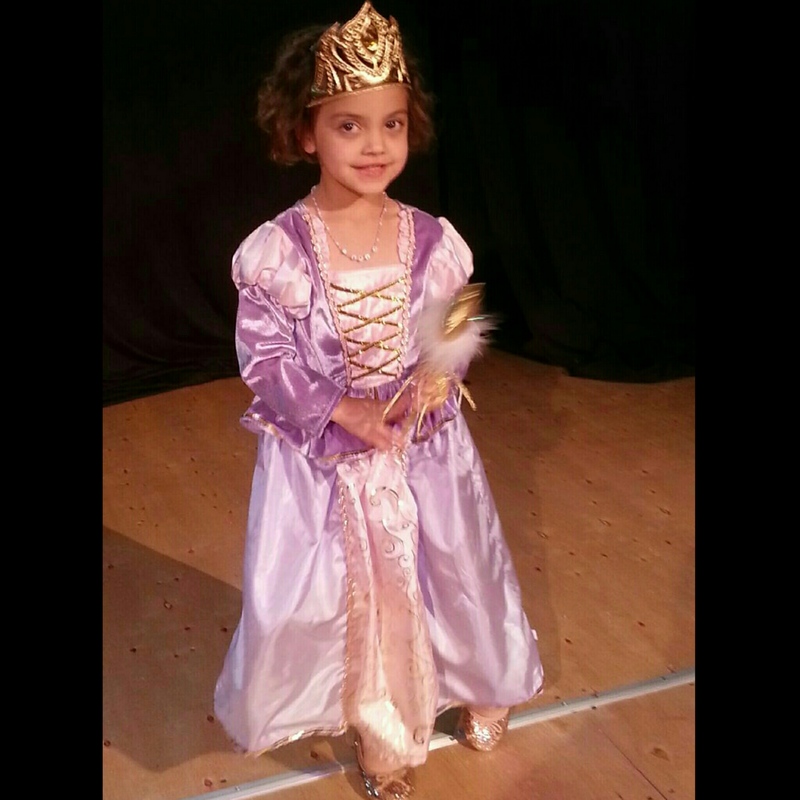 Her costume changed several times, but once she settled on Rapunzel that was it. It’s all she talked about. Mark had taken her shopping for her costume, complete with tiara and magic wand (I know she doesn’t have a magic wand in the movie, but in Sky’s mind every princess has a wand) and when I got home she rushed me into my closet, where her dress was hanging. “Mommy I want you to keep it safe for me until Halloween”. Sky has a Darth mask that she wears all the time, but seeing him in person was a little scary for her. She warmed up to him though…after trying to banish him with her wand. Every few days there was a trip into my closet to view the dress, and make sure the tiara, wand, and shoes were on the shelf safely waiting for her. 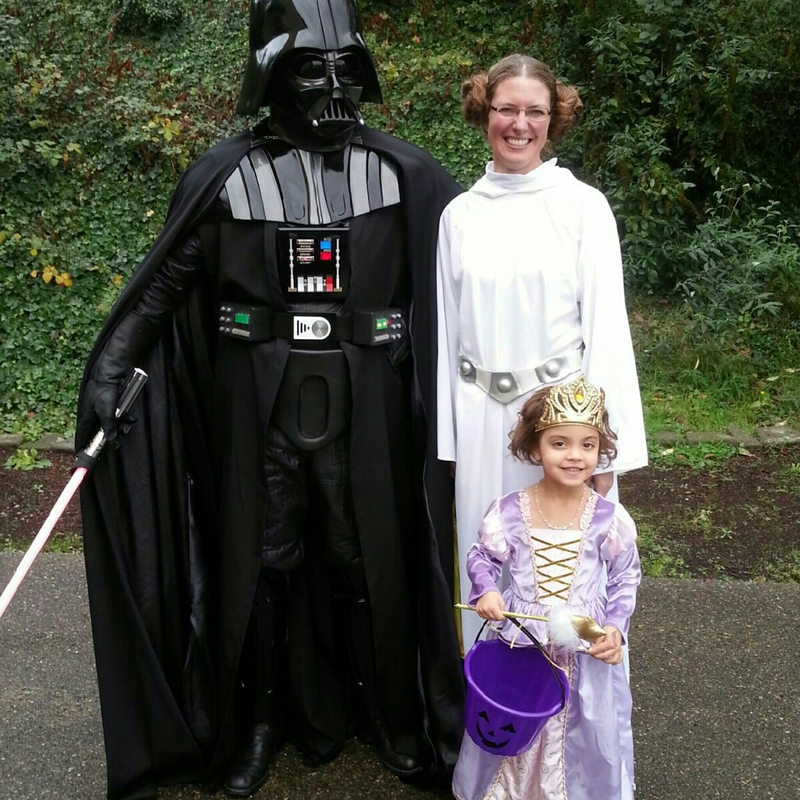 She had so much fun showing off her costume and participating in all the festivities. We found some indoor options since we had a wind/rain storm going on. But, we found a magical window of 30 rain-free minutes in route from indoor event #1 to indoor event #2. So we stopped in the neighborhood we were driving through for some good old fashioned trick-or-treating. 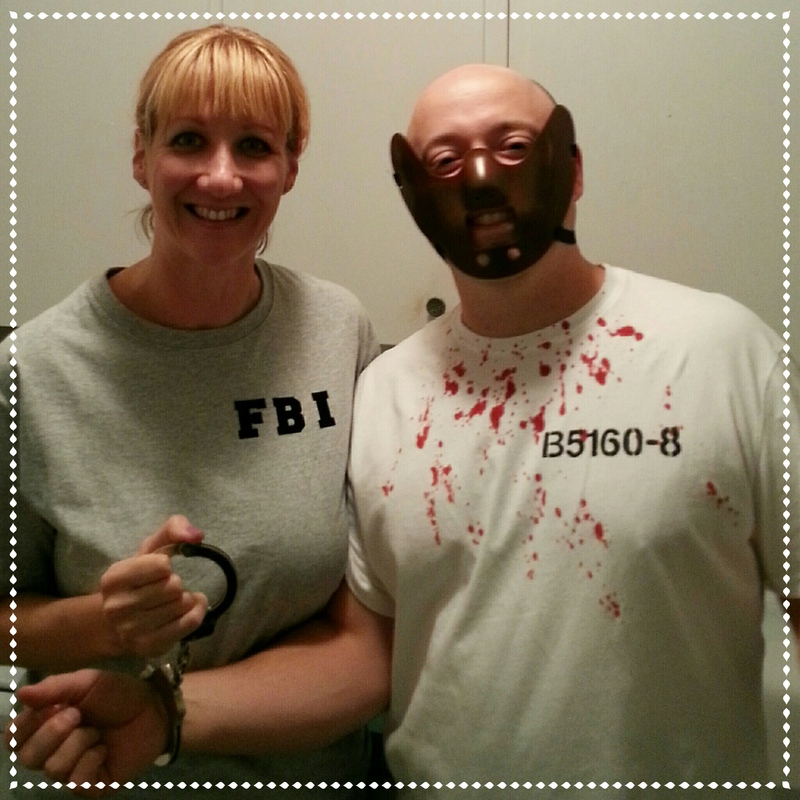 We had an adults only party the night before and went as Hannibal and Clarice. I LOVED my costume because it was from her FBI Academy training, so I rocked sweats all night! 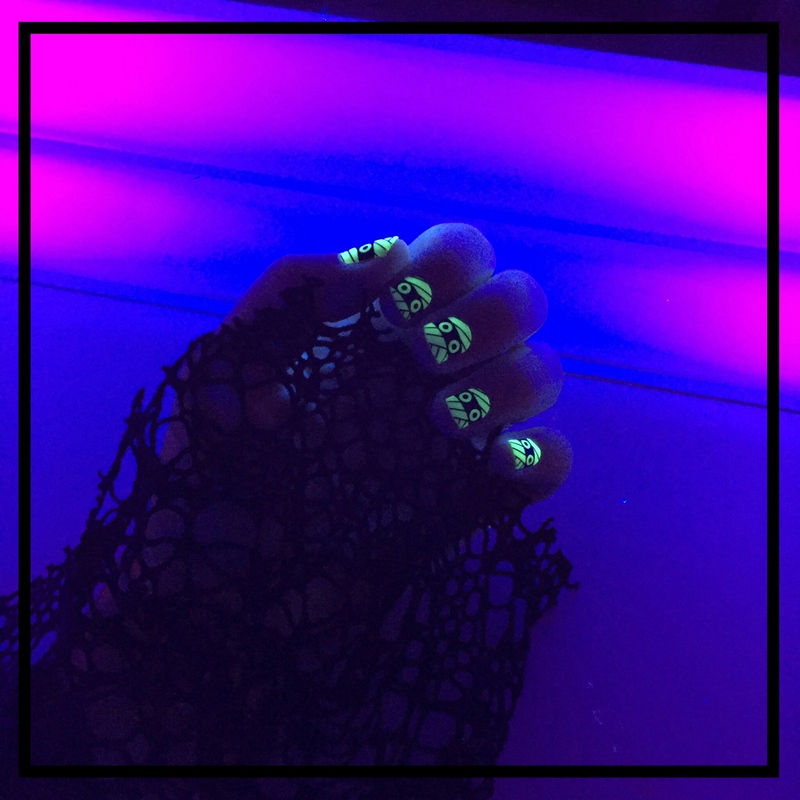 Love Jamberry’s glow in the dark nail wraps! So much fun. I shared mine with Michelle and she managed to get an awesome pic of them glowing. I’ll be wearing them again next year because they are just too much fun! I have to say Fircrest wins Halloween hands down. 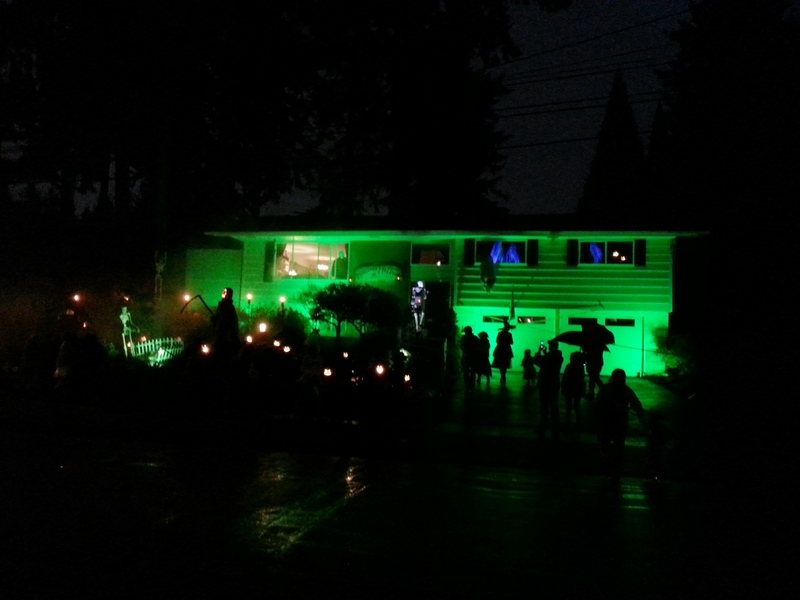 From full sized candy bars to elaborate themed houses complete with actors and spotlights. The Walking Dead zombie house was full on movie production quality, and scared the $hit out of me. We never even made it to the door…the zombies were all over the place and after being blindsided by one (I was a little slow to realize that the mob of people were not all kiddos seeking candy, but rather zombies going after people in the street and down the sidewalk) all I need to turn tail and run was hearing Sky say, “Let’s get out of here, save Daddy, let’s go”. A zombie, with a chain saw had “gotten” Mark’s leg and between that and my screaming Sky was not having it. That was supposed to be the last house before leaving, but we decided a few friendly, not scary houses were in order so as not to end on a bad note for Sky. Not the Zombie house, because I was too scared to get a picture of it. This was down the street from it, and was a “Jason” house, complete with Jason standing in the window (upper left), with a knife, making scary sounds. This one was almost too much for Sky, but she braved it and went up to the door. They make you stand at the door waiting though until they go through the “performance” and sufficiently scare everyone. Sky is till talking about how scary the green house was, and how it’s a good thing the zombies don’t know where we live. I’m sort of shocked she hasn’t had any nightmares actually. And, now she’s already talking about what she’s going to be for next year.